This entry was posted in Uncategorized and tagged anti-promoting cigarettes, Anti-smoking, freelancer in lebanon, graphic designer in lebanon, lebanon, njoycreations by njoycreations. Bookmark the permalink. 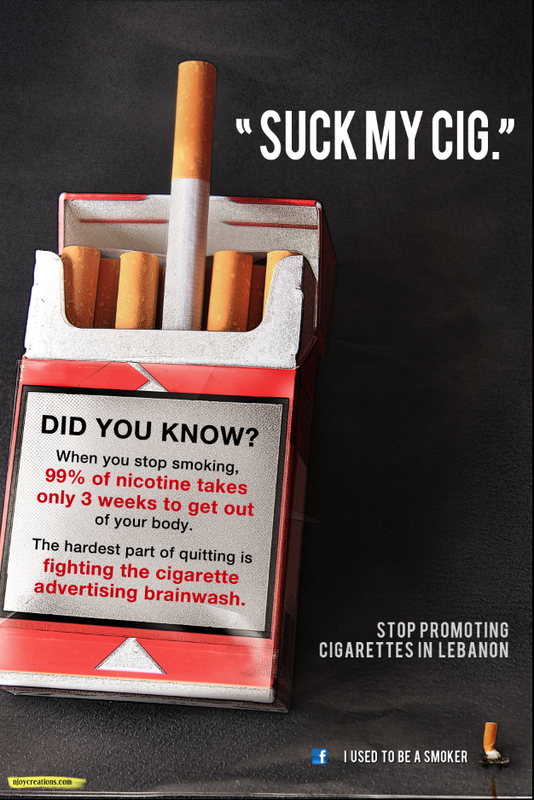 Like, Share, Tweet, Blog the “I used to be a smoker” page for anti-promoting cigarettes in lebanon.